SpamExperts applies its proprietary self-learning smart technologies to eliminate spam, virus, phishing, ransomware, and malware attacks before it reaches your inbox. It detects new spam and malware immediately and applies continuous improvements in secure data collection and analyses. That accumulated intelligence is shared real-time with all their clients worldwide, assuring timely protection against new threats. 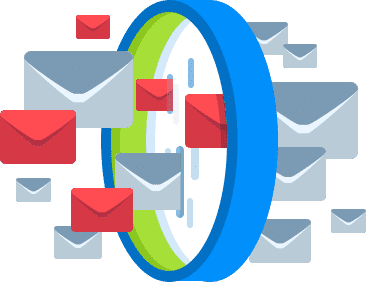 An extra protective layer of incoming filter to your email flow and infrastructure adds redundancy and continuity to your email delivery process. When the destination mail server is unreachable, SpamExperts filtering systems queue inbound email. Improve productivy by spending less time dealing with spam and more time concentrating on your business tasks. SpamExperts is priced per domain for inbound and outbound filtering. Select how many domains you need filtered. *SpamExperts is not available for Windows VPS. Need more than 10 domains filter? SpamExperts email filters have an industry leading rate of nearly 100% filtering accuracy with close to 0 false positives. SpamExperts filter is fully managed, maintained, monitored, updated, and synchronized with a centralized spam database. Queued messages are sent to the destination mail server when reachable again, preventing email from being lost or bounced back. Add the domain to the destination mailserver and make a simple change in mx-records. That’s all that needs to be done!